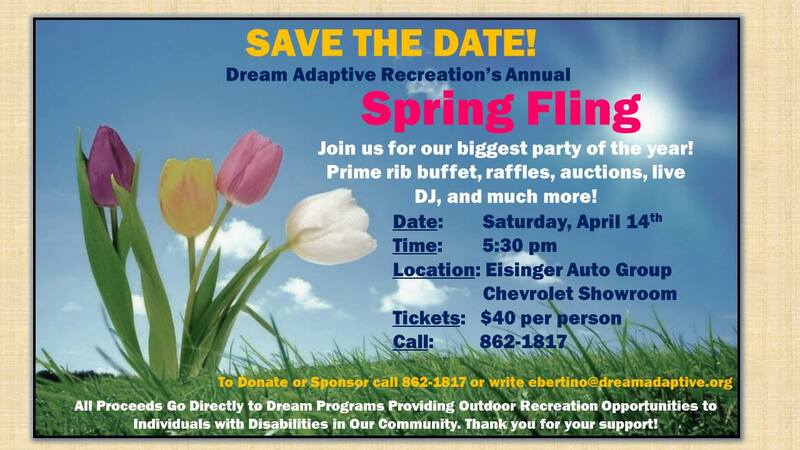 Saturday, April 14th Dream’s Annual Spring Fling event will be held at Eisinger Motors inside the Chevrolet Showroom in North Kalispell! 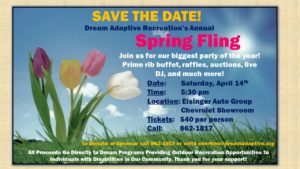 We usually sell out, so call us soon to reserve your seats. 406-862-1817.